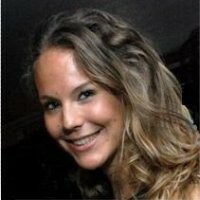 Karianne Bail-Lancee, senior pension investments and sustainability manager at Unilever pension funds, is leaving the company next week for a job at UBS Asset Management, she confirmed with CIO via email. She will start with UBS’s London branch on October 15. Bail-Lancee, who served the Univest subsidiary for six and a half years, is a well-known environmental, social, and governance (ESG) advocate. She led the division’s sustainable practices, and helped develop and launch its Sustainable Impact Fund, which is only open to Unilever pensions. The long-term vehicle invests in private equity, private debt, and real assets. Bail-Lancee was one of CIO’s 2018 NextGen candidates, CIO’s annual list that features some of the most sought-after rising stars in the industry. She added that working at UBS would help “enhance” her “‘personal impact’ towards sustainable development. Bail-Lancee is also a member of the UN’s Principles for Responsible Investment Listed Equity Advisory Committee. In her profile, she said the launch of Unilever’s Sustainable Impact Fund was one of her finest accomplishments. “It has been great to work with our internal investment team and trustee boards to create this investment solution. I feel lucky to be part of an innovative organization,” she said. She also led the investment strategies of the fund’s US, Canadian, German, and Brazilian plans, according to her LinkedIn page. Bail-Lancee also helped roll out wellness programs for the company’s worldwide employees, taking advantage of her nutritional therapy degree, which she obtained at the London College of Naturopathic Medicine. She got her investment degrees at the Cass Business School and Rotterdam University. At Unilever, she also educated colleagues, investment committee members, and trustee boards about “the role sustainability has in a pension fund context,” as well as drafted and implemented its ESG policies. The policies focus on divestment, active ownership activities, manager selection, and monitoring and industry collaboration. “The [Univest] team therefore now have the frameworks and tools to continue the journey without me,” she told CIO. Prior to Unilever, Bail-Lancee worked various analyst roles before becoming an associate at P-Solve Risk Management Solutions. She is the fourth NextGen recipient in recent months to advance their career, alongside Pelle Pedersen, who spent six years at PKA before leaving to pursue his own impact investing business, Jenny Chan, now chief investment officer of the Children’s Hospital of Philadelphia, and Mark Shulgan, who joined the Ontario Municipal Employees Retirement System last month.